Bathing suit season is in full effect and there are so many cute styles out right now! Having a preschooler, this summer means spending lots of time at the pool and at the beach, meaning: mama has to wear a bathing suit! 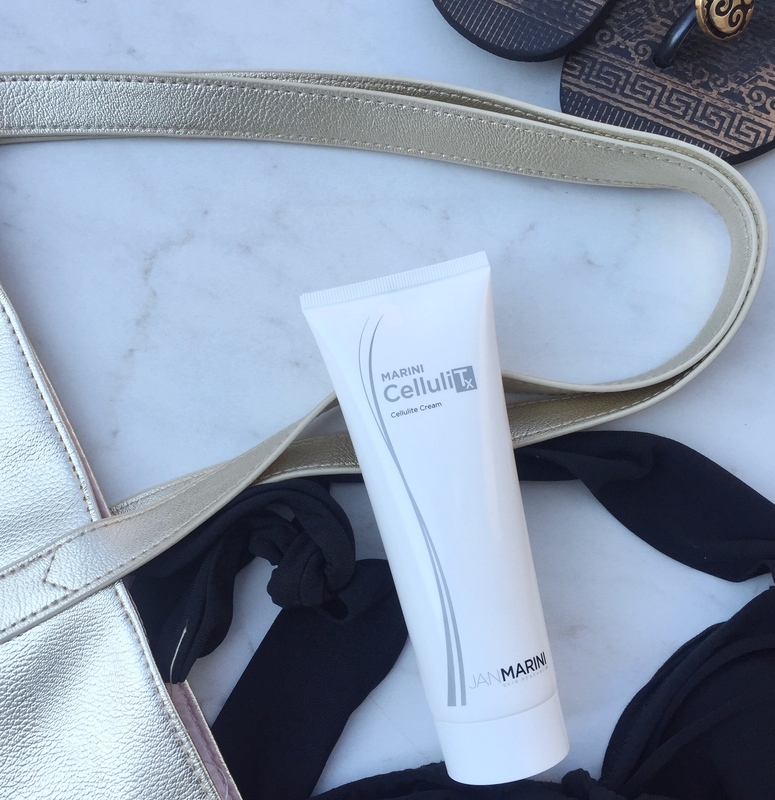 I’ve been using this treatment cream sent to me by Jan Marini for about a month now and it came just in time for summer. 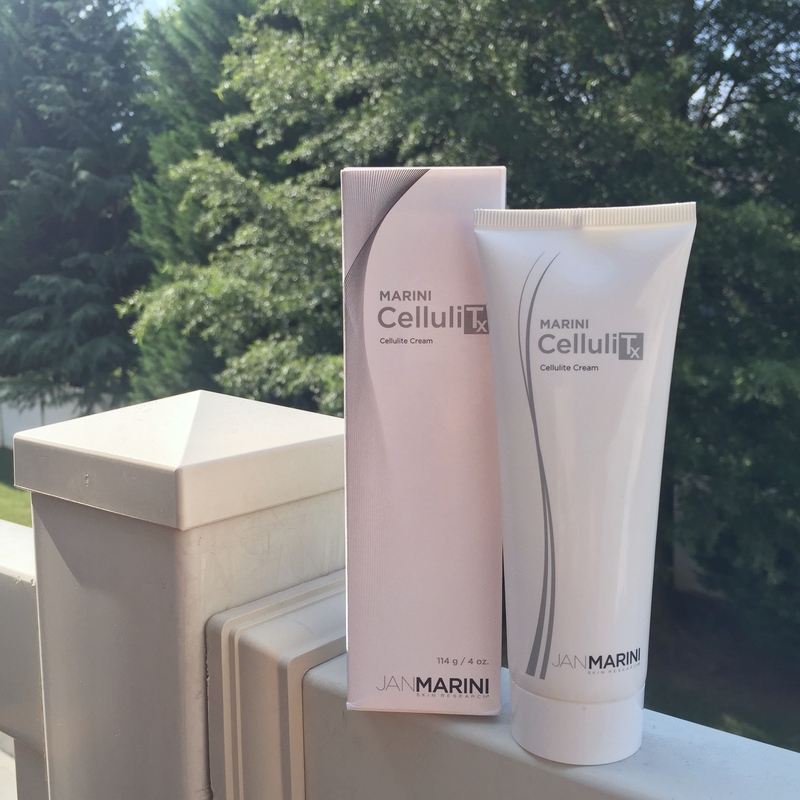 I always have high hopes for anything by Jan Marini because EVERYTHING I’ve ever tried from this incredible brand, I have had a great experience with! 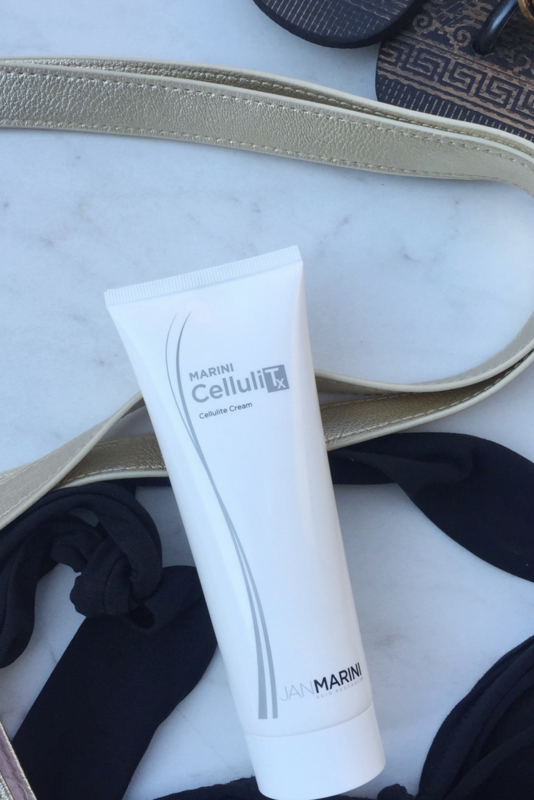 Meet CelluliTx … pretty much any girl’s bff for bikini season! Retails for $130 and it’s a light treatment cream, meant to diminish the appearance of cellulite, making skin smoother and us feel more confident while spending time in the sun! The star ingredients include retinol and caffeine. It’s gentle enough to be suitable for all skin types! Directions say to apply once a day for the first week, and that’s exactly how I started out. I didn’t notice any irritation (which says a lot because my skin is sensitive) , so I was able to increase to twice a day as the directions say after that first week of seeing how my skin reacts. When I apply it, I do notice a slight tingle on my skin, but nothing that feels uncomfortable. 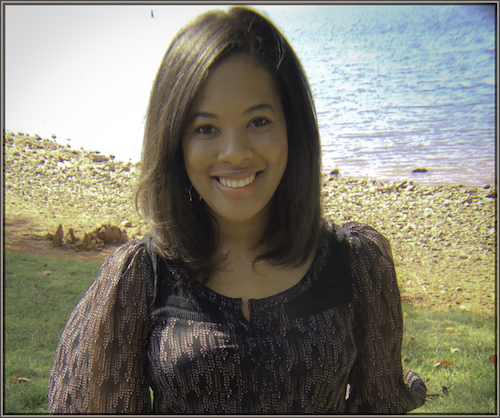 After about two weeks, I noticed the appearance of my skin looking a lot smoother and definitely more firm. That always makes us feel better in a bathing suit, right ladies?! The cream isn’t too heavy or thick, it’s actually really thin and spreads easily on the skin. I don’t like using heavy, greasy creams in the summertime, so this fits perfectly into my routine. I will continue to use it because I’m happy with the results so far! 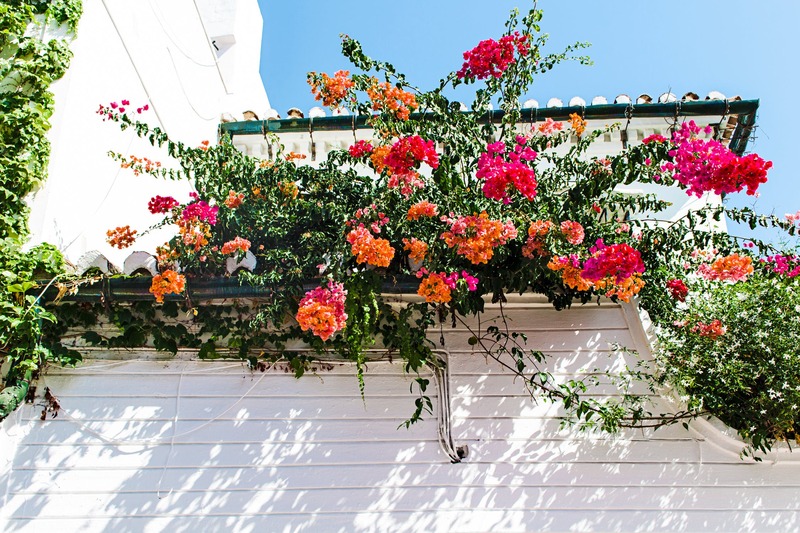 Do you have any favorites by Jan Marini? Let me know in the comments below! We all have been gifted God’s mercy and grace. 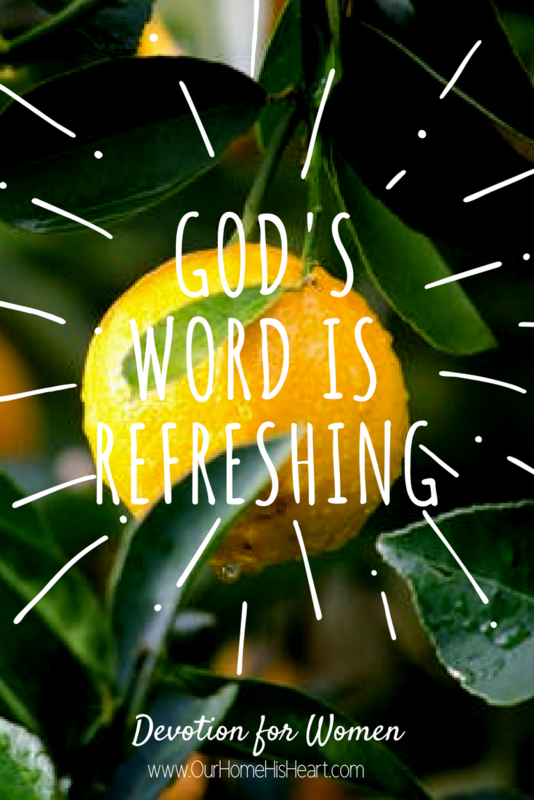 God’s Word is full of all of the things that our Father promises to us. What is even more amazing is that The Lord gives us mercy and kindness that is far beyond anything that we could ever work for or even deserve! He gives it to us because he wholeheartedly loves us, plain and simple. Our only job is to fully accept what the Lord so freely makes available to us. The words mercy and grace have powerful meanings in the Christian faith. Mercy can be defined as having compassion or showing forgiveness toward someone whom it is within one’s power to punish or harm. While grace is defined as the free and unmerited favor of God, as manifested in the salvation of sinners and the bestowal of blessings. The overall message of the gospel is love, mercy, and grace. Jesus died to save us and to give us life abundantly! God’s grace comes through Jesus and is received by faith. It’s a gift for us all, and no one is excluded! Grace is truly God’s power to change. Counting our blessings and then giving praise to God for them is how we can show our appreciation! Hey everybody! Any other skincare lovers out there?! I already shared my excitement about getting to try out one product from the new all-natural skincare line by Paris Hilton! It’s really cool because this line focuses on repairing your skin’s D.N.A naturally. If you into taking care of your skin and you are looking to improve it’s health while preventing signs of aging, let me tell you: you will love this new line! 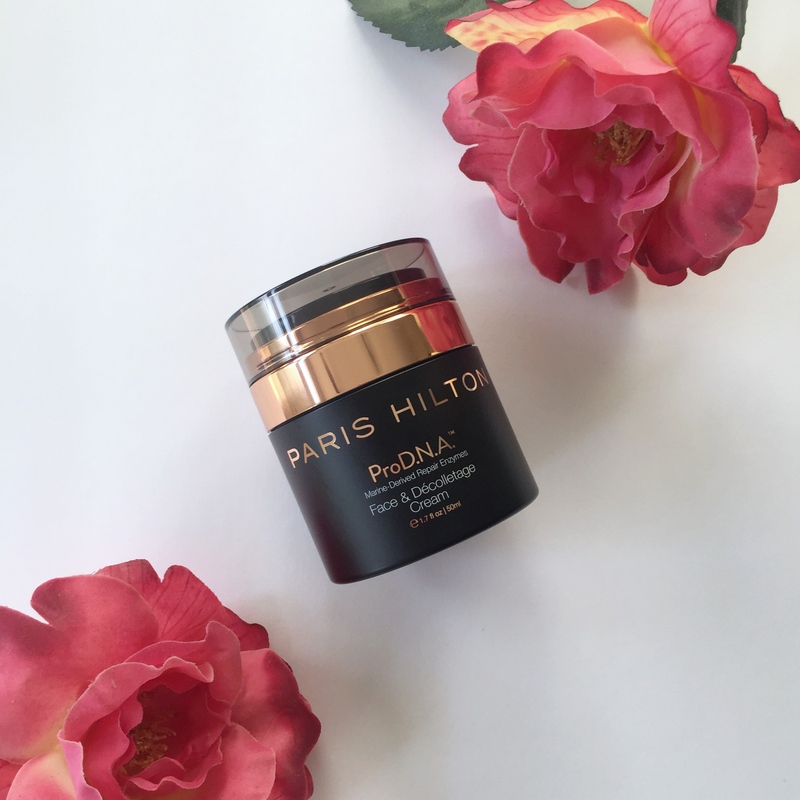 I’m thankful to Paris Hilton skincare for sending this lovely cream to me to review. Let’s get into it! 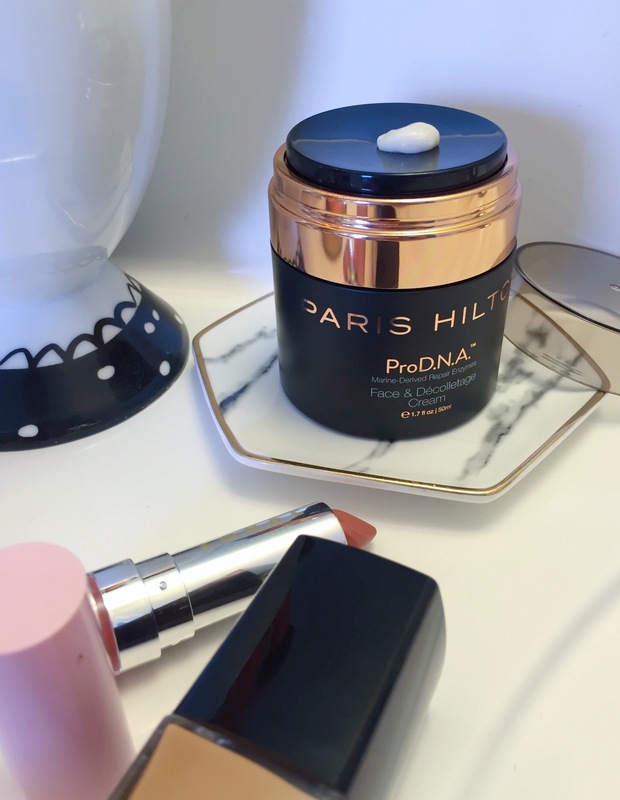 I received the Pro DNA Face & Décolletage Cream and have been using it for the past few weeks so that I can give you all an honest review of my experience with it. 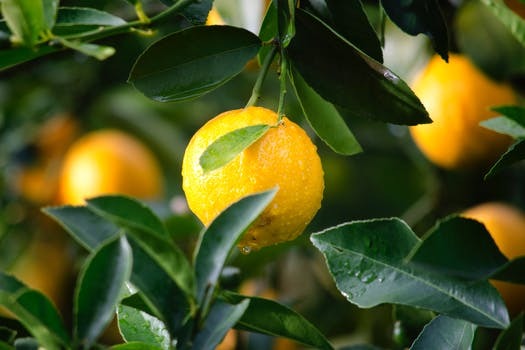 It contains some of the best ingredients for skin, including vitamin C, White Truffle extracts, and marine micro algae. The cream works to repair, prevent future damage, and really does a good job hydrating skin properly. It even repairs UV damage, restores elasticity, and reduces the look of hyper pigmentation, which is great! The rose gold details and matte black packaging is stunning! Another thing that I really love was the type of dispenser it has. Just press down one time and it dispenses just enough of the cream for one application- no waste! This is nice and keeps things sanitary and simple. One pump is the perfect amount for the entire face and décolletage. 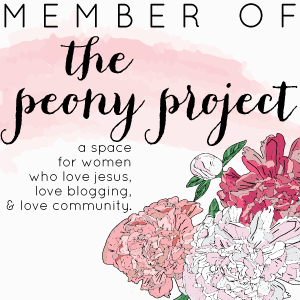 As a busy mom who still likes to take time for self-care, I can appreciate all of these perks! The texture is rich, but still easy to spread so there’s no tugging. I usually keep all of my skincare in an organizer underneath my bathroom sink, but I actually didn’t mind leaving this pretty container out for decor! It retails for $75 and is available at ParisHiltonSkincare.com. I’ve been using this cream on my face and décolletage for 3 weeks every other night, and I am happy with it! It isn’t heavily scented, absorbs quickly, but does feel a just little heavier than most creams I use for daytime. Best of all: it doesn’t break me out! 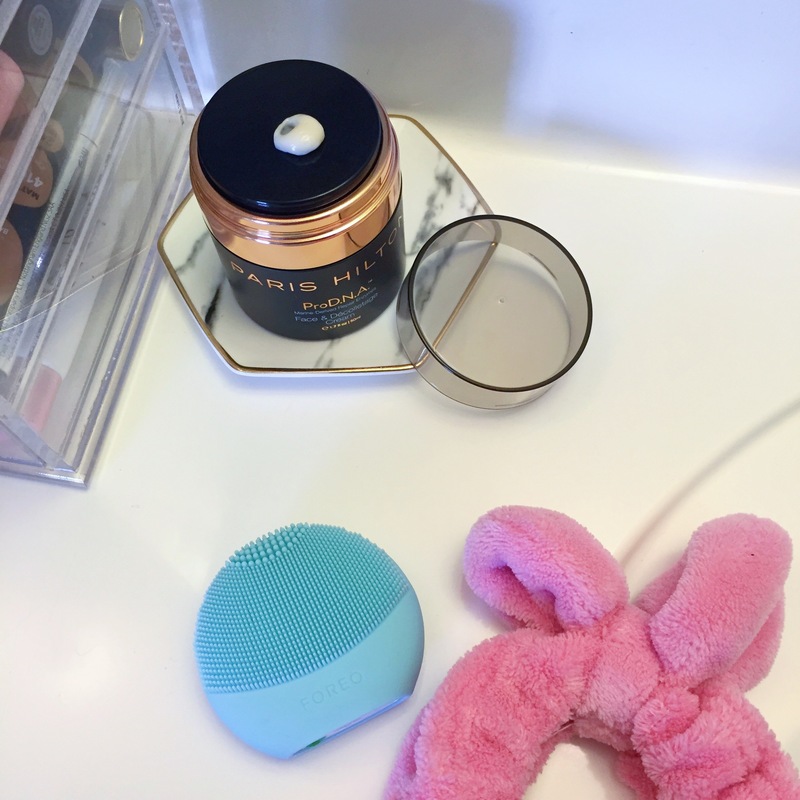 I am oily, so I find that this one works best if I only use it only at night after cleansing with either my Clarisonic or my Foreo device, and then toning as a nice moisturizing treat for my skin as I sleep. When I wake up, my skin is dewy, smooth, and feels SUPER hydrated – so much that I almost hate to even wash my face because it looks so fresh and healthy! If you have oily skin like me, you’d enjoy using this for nighttime too, but it may be too much for daytime and under makeup. I had no problems using this on my face, neck, and chest – it just made my skin incredibly soft and smooth! Using this after being out in the sun has been really nice and soothing for my skin, as well. 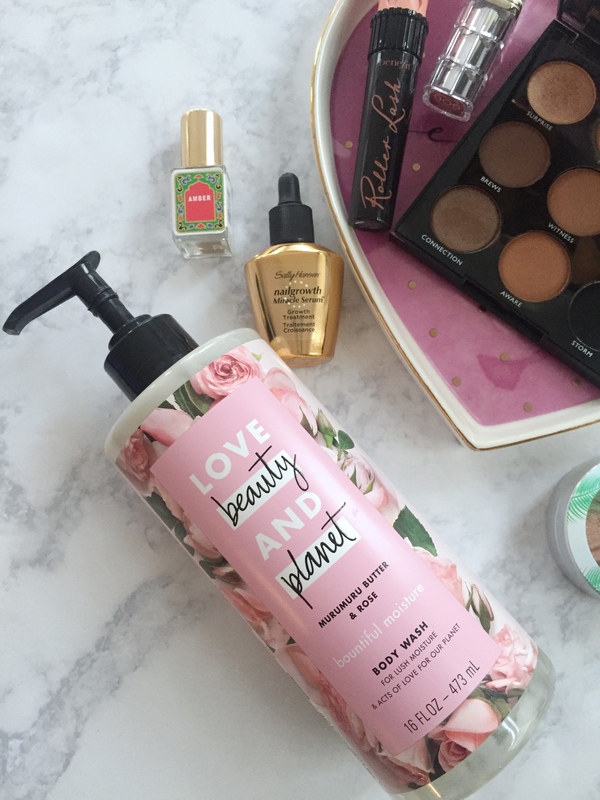 I get why this line is described as #FirstClassSkincare! I definitely want to give some other ProD.N.A products a try since this one was so beautifully done! Those with sensitive skin would benefit from this cream, since the ingredients included are pretty impressive. Seems like everything was very well thought out, which I appreciate! The eye cream looks interesting and just like moisturizer, a girl can never have too many eye creams! Don’t forget to head over to www.parishiltonskincare.com to look at more products in this new line. I’m happy to share a 20% off code with you guys! Use code 1STCLASSCHALLENGE (expires July 31, 2018) at checkout! Have you heard about this line by Paris Hilton? Let me know in the comments below! It’s been a while since I’ve talked about some favorites! 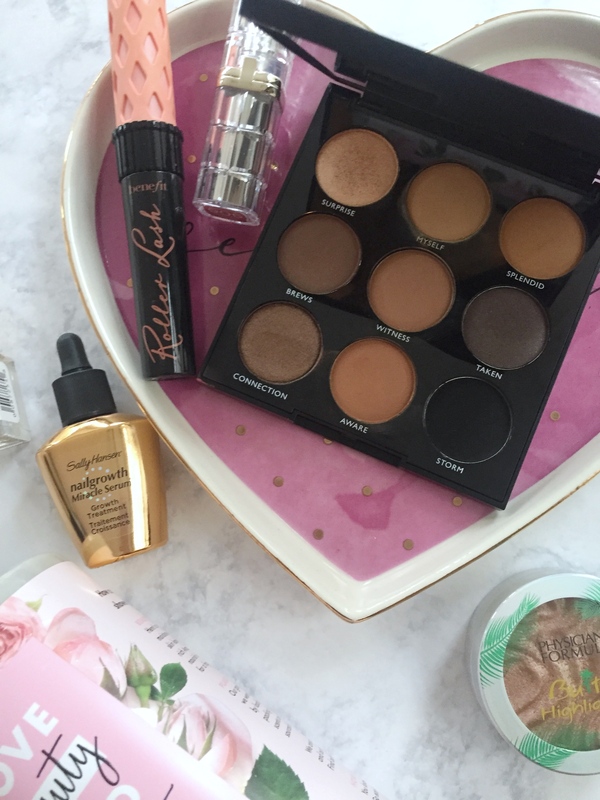 Today I’m sharing a mix of beauty items, most are from the drugstore. These things have all been my go-to’s for the past few weeks and are good for summer! 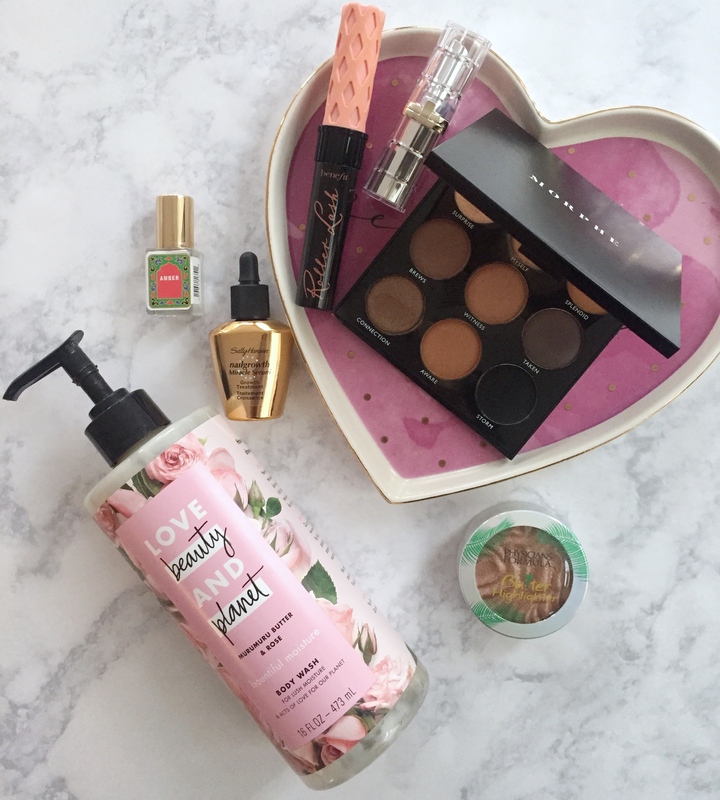 Keep reading to see what some of my current beauty favorites are! First up, this natural body wash is heavenly! The smell (Murumuru Butter and Rose) is Ahh-mazing! The texture is very creamy, almost like a lotion, but lathers up very well so you feel super clean and moisturized at the same time. It’s infused with coconut oil and gives off plenty of moisture. I love this for summer because I don’t feel like I have to apply body lotion after a shower with it. Speaking of smelling great, this Nemat Amber perfume oil I found at Whole Foods is unlike any other fragrance I have. The scent is a nice one for all year round. I really like using a perfume oil in summer time because it’s not overpowering or sweet, just woodsy, mysterious, and fresh. A little goes a long way with this ( 1-2 drops on skin) and it lasts all day! My nails were in need of some TLC and I’ve been amazed at the results from this Miracle Growth Serum. I apply it once a day (on bare nails or over polish) and it rubs in easily and seriously WORKS to grow and strengthen nails. My nails grow so long using this and I have to trim them constantly! As Far as makeup goes, I’ve got a few good things to share with y’all! I’ve never tried Morphe shadows until I decided to grab this at Ulta. The Always Golden palette has the perfect shades for a subtlety done eye look. Natural looking is best for summer! Check out the packaging on this lipstick by L’Oreal! Looks so much like a high-end lipstick, but it’s only about $7! I grabbed the shade Burnished Blush and couldn’t love it more for everyday. Gives off a good amount of color and moisturizes my lips at the same time. If you liked the Revlon Lip Butters, you will also like these. I will be getting some more shades! 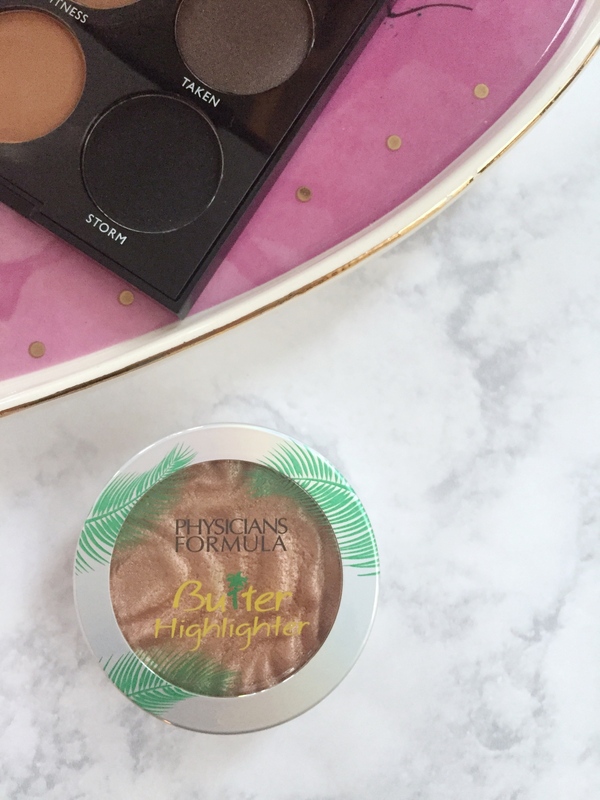 Everyone loves highlighter for summer! I have been enjoying this Rose Gold Butter Highlighter for a pretty glow. It applies really buttery smooth and the smell is intoxicating- like a tropical vacation! Last up, Roller Lash by Benefit has been great to use since my lashes aren’t naturally full or long. It bumps up the amount of volume, curls, lengthens, and darkens them. I do find that it works best when you use the suggested technique of making a ‘curling’ motion when applying it. That’s all for my current favorites!